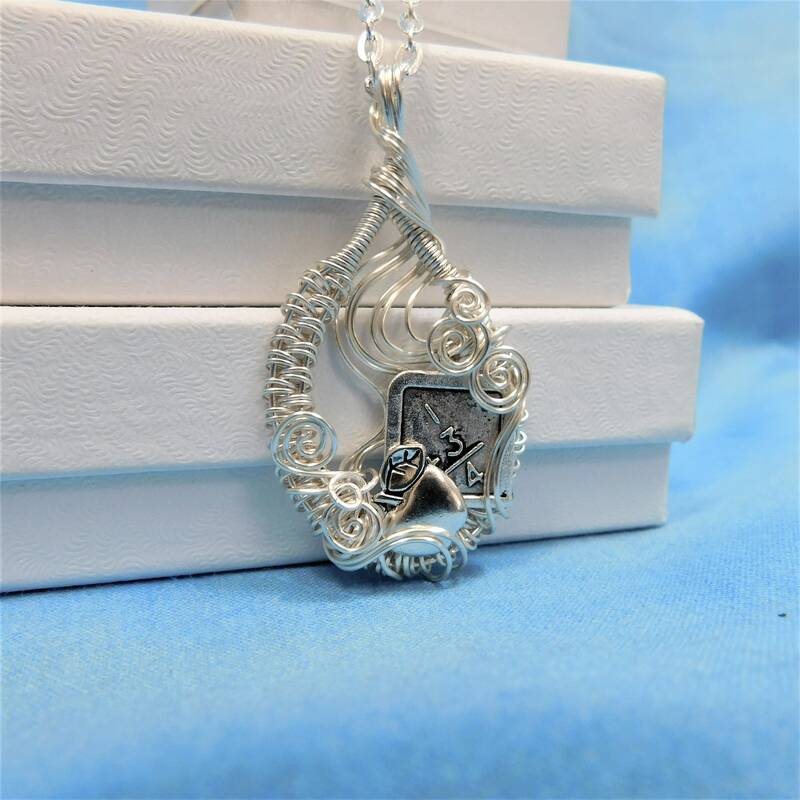 An old fashioned blackboard and an apple for the teacher signify this proud profession. 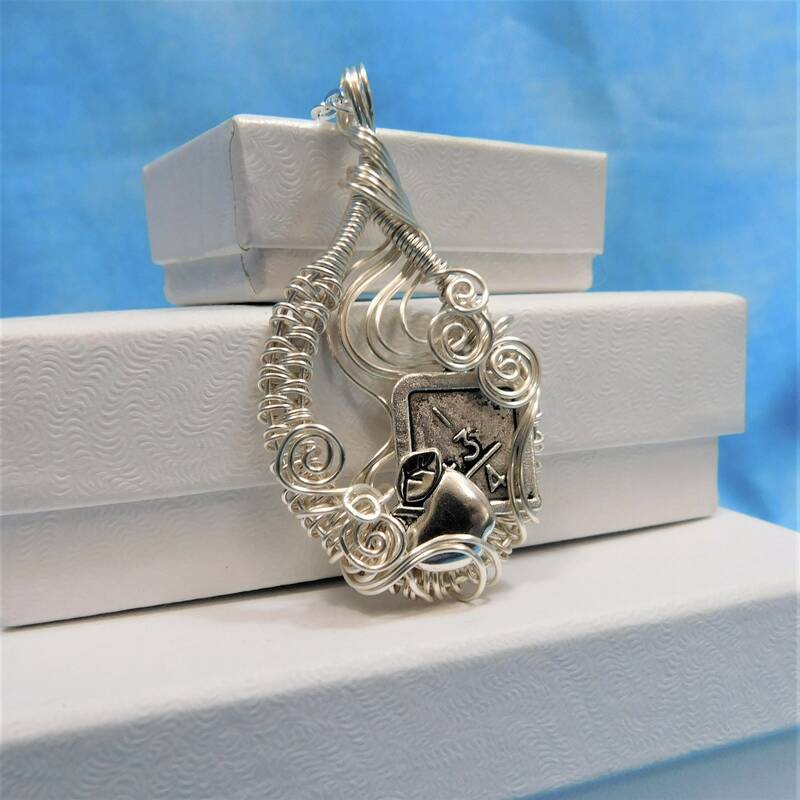 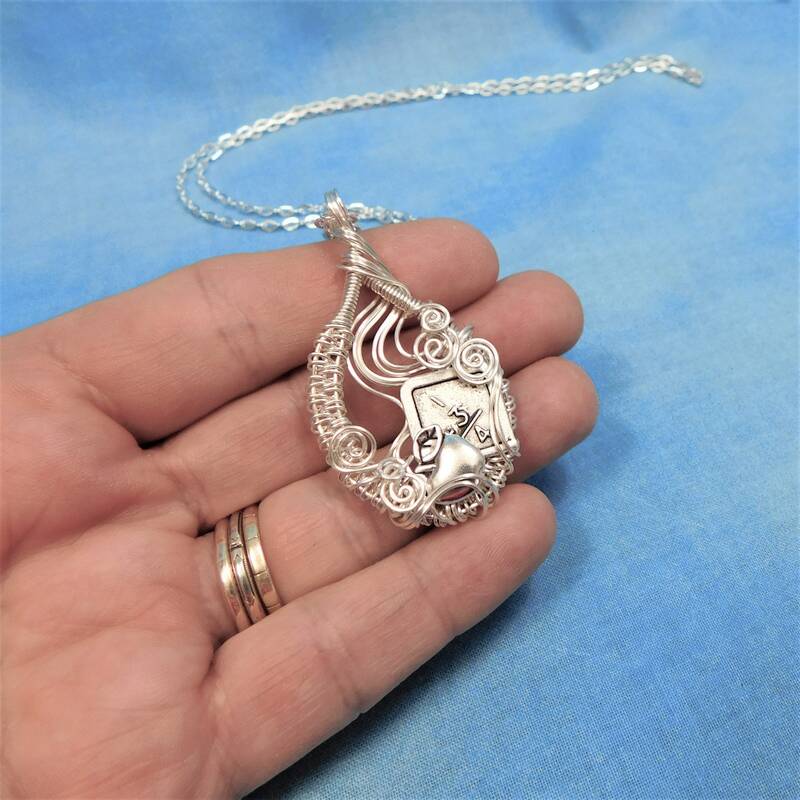 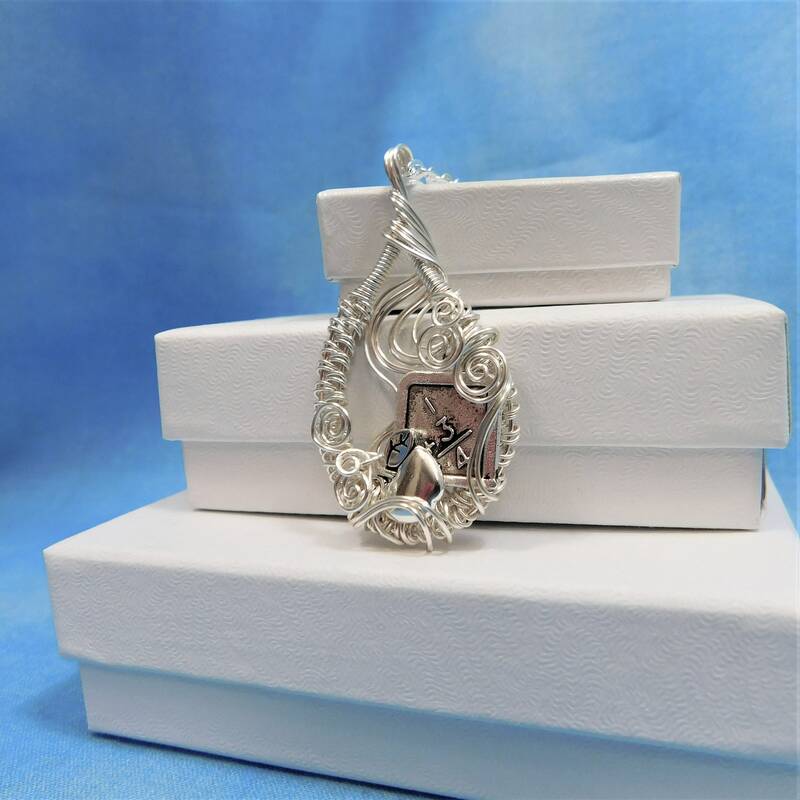 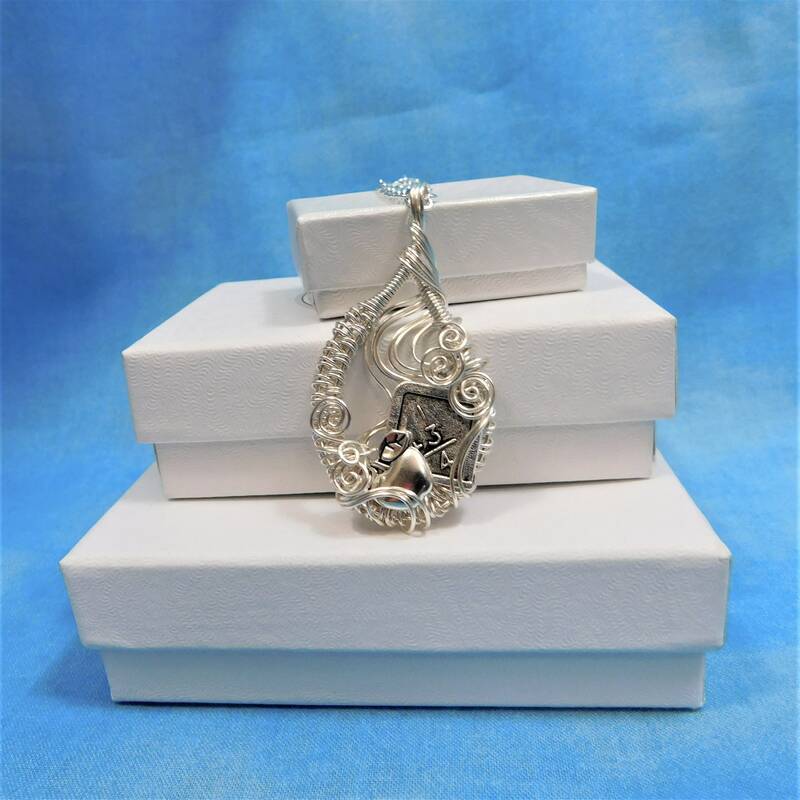 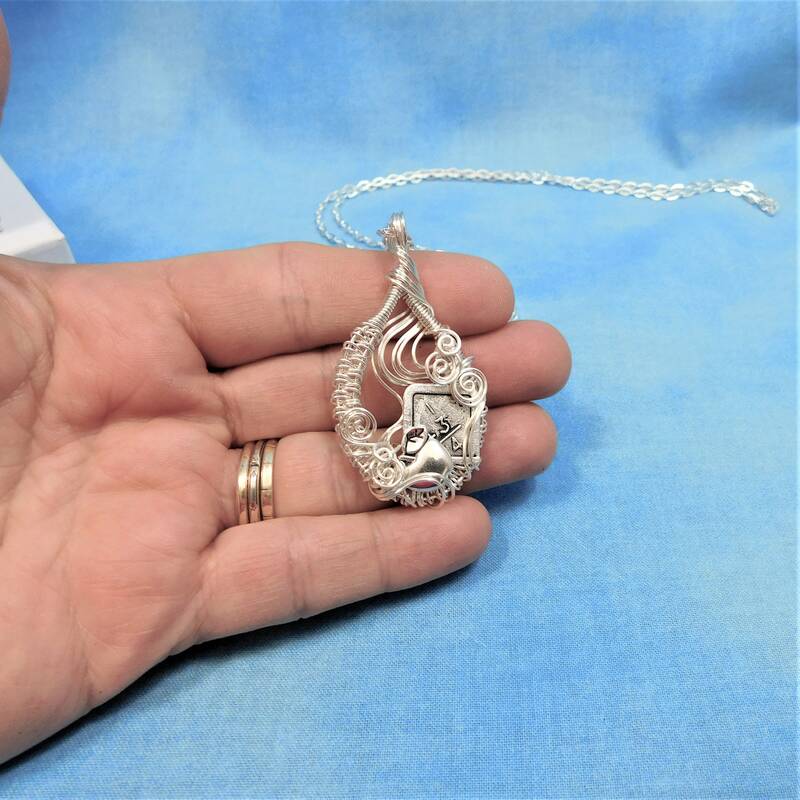 The charms are framed with artistically hand woven non tarnish fine silver over copper wire, and the pendant measures 1 1/2 by 1 1/4 inches. 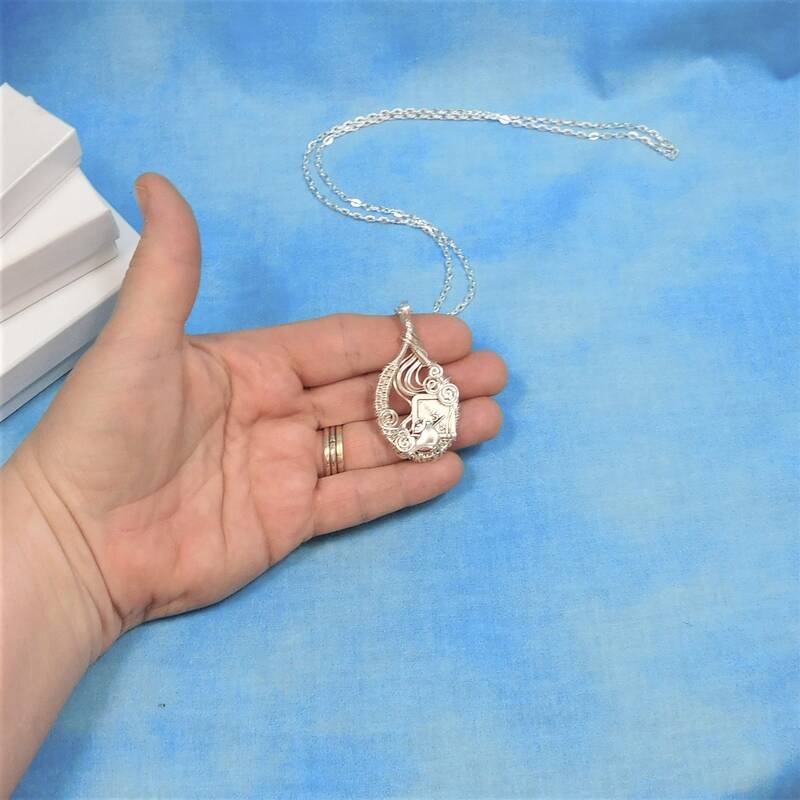 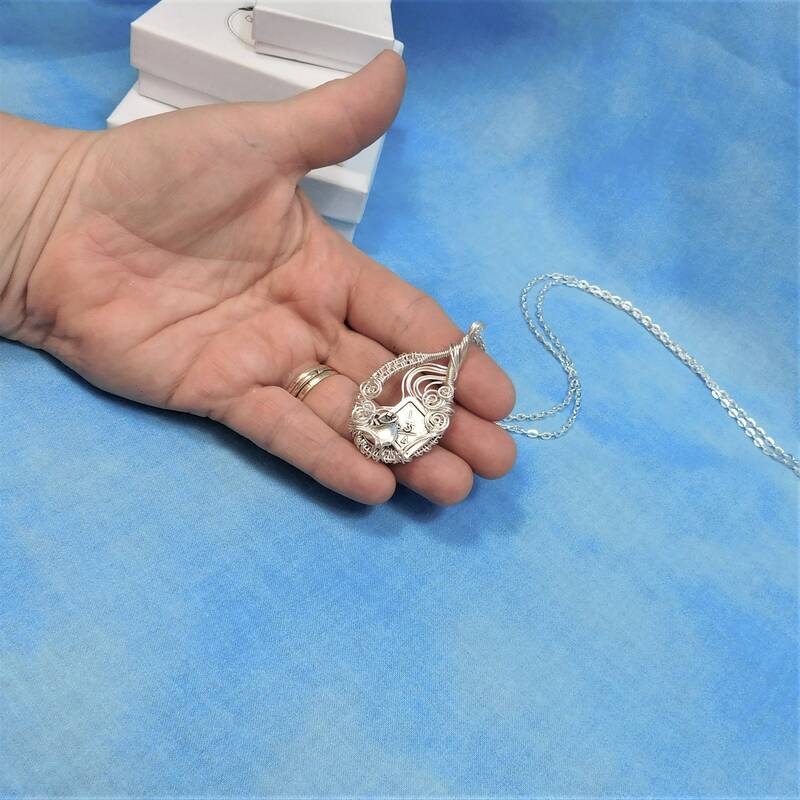 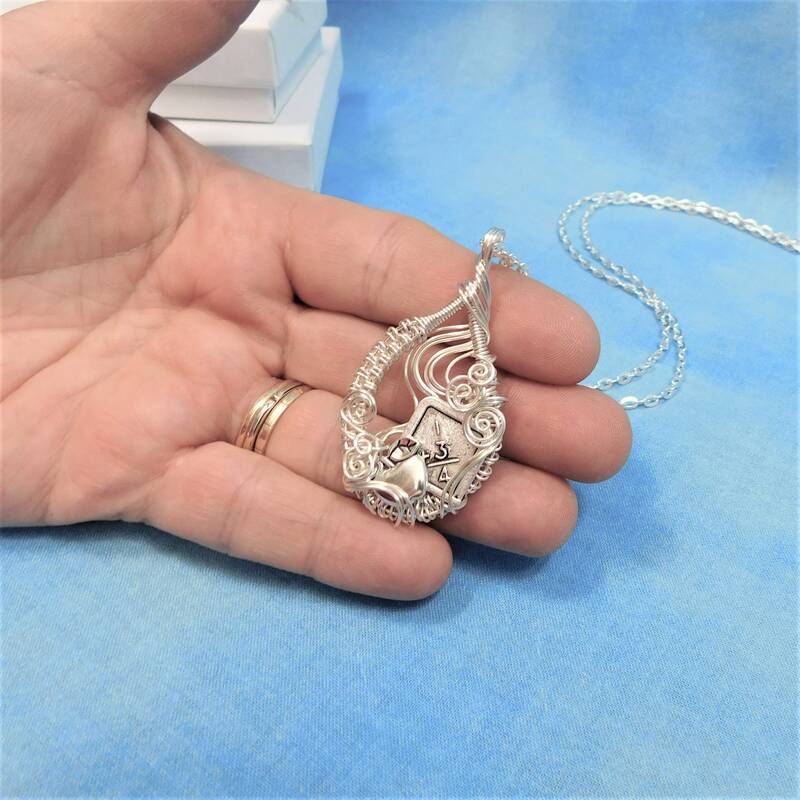 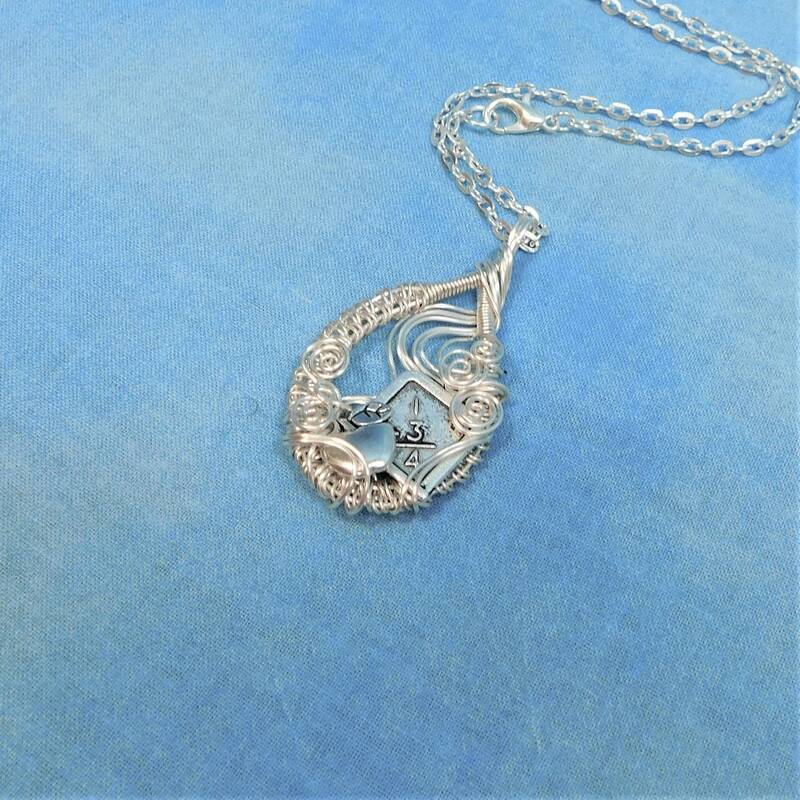 The pendant comes with a coordinating chain, measured to your preferred length.